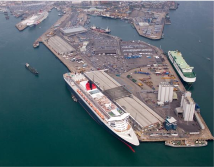 If you are planning to visit Southampton Port in the next future or even considering moving there, you will be pleased to learn about the multiple possibilities of entertainment, education and business that can enlarge your life vision and professional aspirations. Above all, the location is an excellent getaway for an ideal holiday. The accommodation sector is a very wide one, especially for the tourists. You have plenty of interesting options to choose from. The most selected hotels and B&B are Holiday Inn Southampton, The White Star Tavern and Grand Harbour Hotel. Moreover, the Port of Southampton holds some of the most famous mansion in the United Kingdom, so it is a great and exclusive living area. 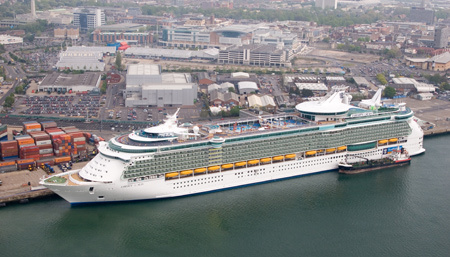 Although the number of persons living here it is not that large (about 200.000 people), Southampton Port is considered one of the cultural and business-like capital on the south coast. Besides this, it is known for its two main universities: University of Southampton and Southampton Solent University. Apprenticeship and other learning opportunities can be found for every age and interest. We should not forget about the means of transport, especially if you arrive in London on a plane, on Heathrow Airport. For a Heathrow to Port Southampton Shuttle you just have to browse for the perfect taxi, rail or bus. You will find below some of the most common transport options. This way, Shuttle from Heathrow to Southampton Port is just a click away. For a Heathrow to Port Southampton Shuttle by rail, you have two main possibilities. The first would be to take the train from Heathrow (that arrives every 15 minutes) via Reading (every 60 minutes). The total duration of the journey would take about 97 minutes. The second option is to take the bus from Heathrow Central Bus Station (every 15 minutes – line 555) via Woking that comes every 60 minutes. The journey would take about 2 hours and 29 minutes. A Heathrow to Port Southampton Shuttle by car can be done by choosing the M3 highway. London Heathrow Airport is at a 66.8 miles distance from the Port of Southampton. A Shuttle from Heathrow to Southampton Port with 247 Heathrow Airport Transfer is going to take about 1 hour and 49 minutes. The price for a Heathrow Airport to Southampton Port Shuttle starts from 95 GBP..